President No.7 and 8, the most luxurious sister cruise ships made their first voyage in April 2013. They are designed 146.8 meter in length and 20.2 meter in width, making them the largest cruise ships that Yangtze Shipping has made so far. Each of them contains 215 luxury standard rooms, 13 luxury executive rooms on the top deck, and 2 presidential suites on the fore side of 3rd deck, a total 230 rooms for 460 guests. Arrive at Chaotianmen Dock in Chongqing by yourself. Get on board from 18:00 and 20:30. Set sail at 21:00. Safety briefing at 21:15. Early bird coffee and tea are available at 6:30. Have buffet breakfast from 7:00 to 8:30. 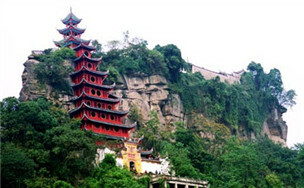 Then join the activities on the cruise or take an optional tour to Fengdu Ghost City (CNY290 per person, 2.5 hours). Have buffet lunch at noon. At 16:00, the ship will stop at Zhongxian Port. Shore excursion to Shibaozhai, which was built against Yuyin Mountain, during Wanli Period. The whole tower is 56 meters high with 12 floors. There will be a Captain's Welcome Reception at 18:15 at Shangri-la Restaurant and an evening show at Oscar Performance Hall at 21:00. The ship will stop at White Emperor City at 7:00. 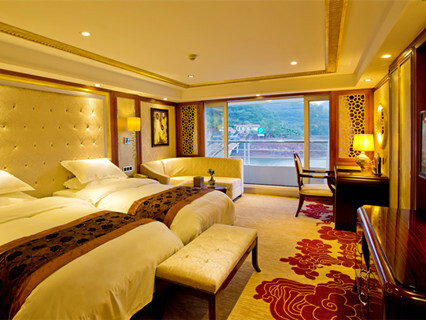 Stay on board or take an optional tour to White Emperor City (CNY290 per person). Then pass through Qutang Gorge at 10:45. The tour guide will explain the attraction on the deck of 6th floor. At 12:30, the ship will pass through Wu Gorge. You could enjoy the scenery while having buffet lunch. 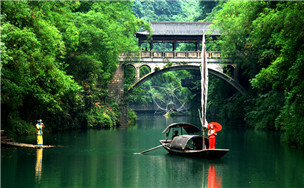 In the afternoon, take a boat to visit Shennong Stream. It is a stream of 60 km running through the gorges from the south to the north. There will be a Captain's Farewell Banquet at 19:00. Settle the bills later. Watch Crew cabaret at 21:00. At about 22:30, the ship will go through five-grade ship lock of the Three Gorges Dam. 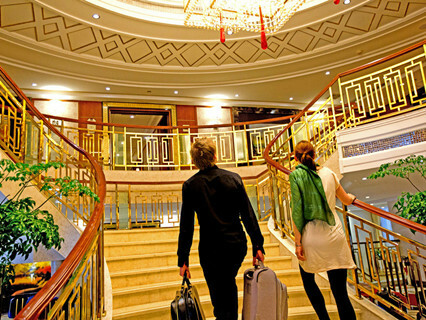 You will see the spectacular scenes on the deck of 6th floor and experience how a cruiser ship climb stairs. Buffet breakfast is available from 6:30 to 7:45. At 8:00, the ship will stop at Sandouping Port. Shore excursion to Three Gorges Dam, which is the biggest water project in the world. At 12:30, disembarkation in Yichang. That's the end of this tour. Note: The itinerary above is subject to be changed by the cruise company due to the water level, navigation authority, weather condition, etc. 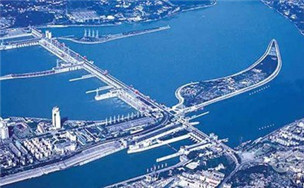 Get on board from Yichang port during 18:00 and 20:30. Set sail at 21:00. Safety briefing at 21:15. Early bird coffee and tea are available at 6:30. Have buffet breakfast from 7:30 to 8:30. Optional shore excursion to Three Gorges Tribe (CNY 290 per person) at 9:30. You may also attend lectures, watch movies, doing massage, singing karaoke and etc on the cruise. Have buffet lunch from 12:30 to 13:30. At 13:30, shore excursion to Three Gorges Dam, the biggest water project in the world. At 17:15, the ship will go through five-grade ship lock of the Three Gorges Dam. 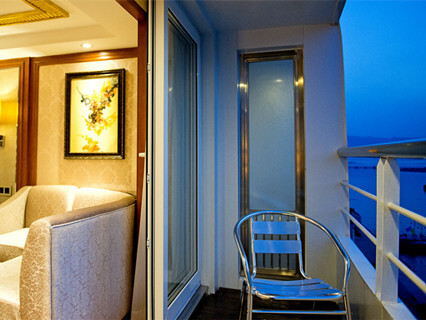 You will see the spectacular scenes on the deck of 6th floor and experience how a cruiser ship climb stairs. There will be a Captain's Welcome Reception at 18:15. Have dinner at 19:00. Watch an evening show at 21:00. Early bird coffee and tea are available at 6:30. Have buffet breakfast from 7:30 to 8:45. The ship will go through Wu Gorge at 7:00. You can enjoy the picturesque scenery on the 6th floor and the tour guide will explain the sightseeing. 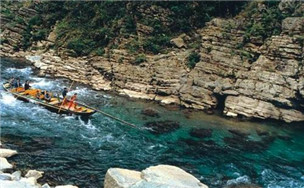 Then take a boat to visit Shennong Stream. It is a stream of 60 km running through the gorges from the south to the north. 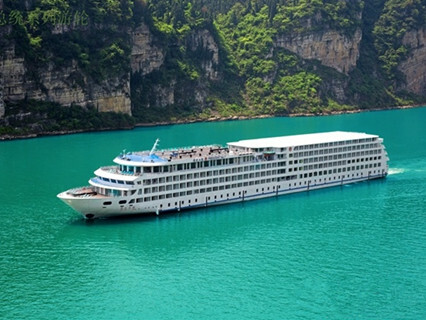 The ship will go through Qutang Gorge at 14:45. 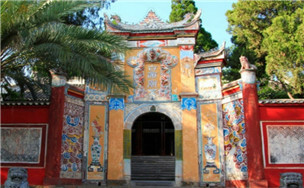 Optional shore excursion to White Emperor City at 15:30 (CNY 290 per person). Watch an evening show at 21:00. Early bird coffee and tea are available at 6:30. 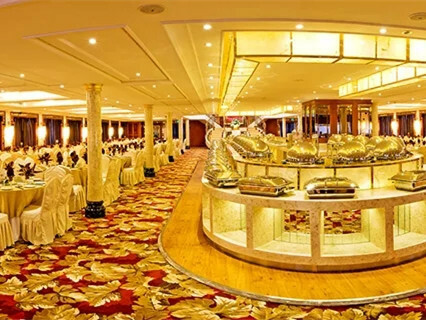 Have buffet breakfast from 7:00 to 8:15. The ship will stop at the port of Zhongxian during 8:00-10:00. Shore excursion to Shibaozhai, which was built against Yuyin Mountain during Wanli Period. The whole tower is 56 meters high with 12 floors. There will be a Captain's Farewell Banquet at 19:00. Later settle the bills. Have buffet breakfast from 7:00 to 8:15. Check out and disembarkation in Chongqing at about 8:30. This is the end of this tour. Cruise accommodations based on one standard bed per person at basic floor. Shore excursions as listed. Tips: CNY150 per person. CNY 150 per person per floor for room upgrading. 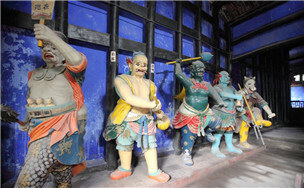 Optional tours for Three Gorges Tribe, Fengdu Ghost City, White Emperor City. 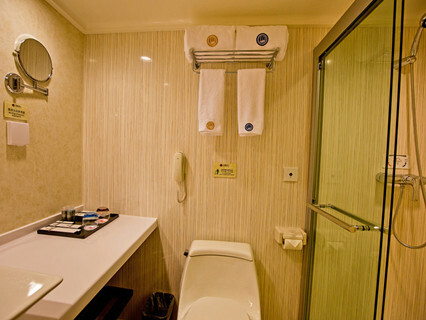 Personal expenses such as laundry, haircut, fax, telephone, pay TV, drinks and etc. 1. There are only two beds in a cabin. Most of the ships do not provide extra bed, so you may need to reserve another cabin, or a half cabin (0.5 cabin) for the third person (for an adult or a big child) . 2. If you want to take a whole cabin for the third person, a single supplement of 75% to 100% of a single ticket is required. If you only take a half cabin, or only "a bed", the price is the same but he/she need to share the cabin with a stranger. 3. If 2-12 years old children don't need extra bed, they just pay 50% of the full price, but if they need one bed, they need to pay 100%. 4. Below 2 years old children, they only need pay 20% of the full price. 5. If you want to update the floor, 150CNY($24) per person per floor. You can book online or by email, tell us your flight number/ arrival time to Chongqing or Yichang, or the hotel you stay in either city, we will pick you up from the airport(or hotel) to the cruiser. You will receive our confirmation email and voucher after your booking. We enjoyed a lot of the cruise. The President 8 ship was excellent, cabin high quality, good food and well planned program. The tour guides and restaurant personnel were very friendly and always ready to help you. We recommend this cruise and ship to others as well. more.. The booking was arranged perfectly, embarking was well-organized, and the trip spectacular and comfortable. Highly recommended! more.. 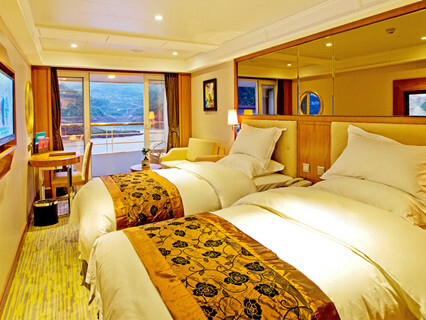 THE ACCOMMODATION OF M/V PRESIDENT 7 IS CONSIDERED GOOD. 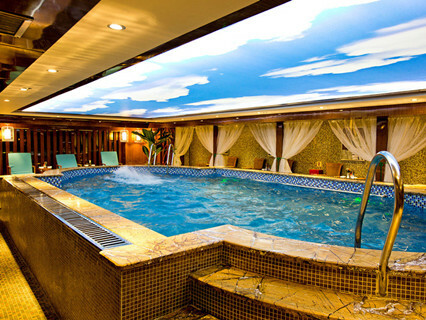 THIS IS A 5 STAR SHIP, SO THE ROOM AND FOOD AND THE SHIP PERSONNEL ARE ALL EXCELLENT. FOR ME THE MOST IMPORTANT AND THE BIGGEST DEAL , YOU SHOULD WATCH HOW THE SHIP LOCK OPERATE. AND YOU HAVE HAVE TO PAY THE THREE GORGES DAM TOUR. WHILE THE REST OF THE more..
Enquiry : an you give me some information about the trip from yichang to chongqing on the president 7? Reply : Thanks so much for your tour inquiry with us,and please check the itinerary and price below. December 22, only Yangtze Gold No. 6 Cruise is available from Yichang to Chongqing, the cost is 2,550CNY excluding tips of 150CNY per person total amount: 5,100CNY about $750USD excluding tips.